Well, we now have ushered into 2018, and with the arrival of the new year, as it happens at the momentous beginning of each new year; new trends erupt in every industry to complement the new year and the industry of marketing is no exception to this as well. For the marketers, and exclusively those that are concerned with content-based marketing tactics, it is very important to be aware of the latest trends and norms that are happening in the content marketing sector. According to an article published on Content Marketing Institute, an effective content marketing strategy has the highest ROI (Return on Investment) rate than any other marketing strategy. This statement does evoke in us the desire to know about the dominant content marketing trends which will reign throughout 2018, right? So, let’s get to know them here! The first most important developing trend in content marketing strategy is the use of beacons technology, initially launched as iBeacons in 2013 by the Apple Corporation. Beacon technology is used to interact, and intelligently conjecture, the actual physical behavior of the customer using any web-based service. Businesses globally are now utilizing this potential of the beacons to deliver highly customer-oriented content which is more relevant to what they seek. What’s more good is that the beacons technology specifically targets the mobile users, an area which is rapidly growing with users each year. Therefore, showcase your special deals, promotions, and even informative content to a relevant audience in a highly customized way. It is the age of information technology! We do call our life and times with such exalted title due to some reason, right? And hence the second most important content marketing trend for 2018 is a high level of transparency. These days people like to trust more on those businesses that are quite open and transparent about what they do, what are their core aims, how do they contribute to the well-being of others, and most importantly how much they are eco-conscious. Powerfully dramatic statements like “we give highly to charity,” or “customer’s trust is our ultimate win” are a certain deal breaker. People like to know more about how you do everything that you claim to do in succinct details: Describe and be open about your procedure of doing things to really convert a lead into a potential customer. Pigeonholing methods like live streaming is usually a big mistake. Especially when the industry is really taking off. 2018 is the prime time for live streaming & vlogging, and if you miss the boat, you could be missing out on huge traffic numbers and the ability to create a viral buzz. So, we guess there not more left to say about the importance of this marketing trend in 2018, right? If you haven’t started vlogging or live streaming for your business yet, it is time you should consider doing it right away! Not only marketing but everything else runs on and need content for conveying a message. Therefore, content remains the vital part of communication; thus the saying “Content is the King” in a 1996 essay by Microsoft Co-Founder Bill Gates. But does it pay off well when we neglect the context of our content and its overall importance in our marketing strategy? This is why significantly proper and succinct content is literally the foundation of the overall marketing strategy, and businesses globally are now recognizing the importance of a proper content formation and consideration in a marketing campaign. When developing the marketing strategy for your business, ensure that you give due importance to well-crafted content and make it the building block of your overall marketing plan. As we related above, hand-held devices (exclusively the mobile phones) are constantly on the rise. According to Statista, there will be 4.93 billion mobile users in the world as of 2018, and this ratio will become 5.07 billion in 2019. And mobile is just one type of web-enabled hand-held devices; there is a wide list of web-enabled hand-held devices where a business can find huge numbers of potential customers. Therefore, it is important for you to know the difference of the content optimization between the desktop and mobile versions respectively. As an online business, you need to have a responsive theme and content laid out in a way that is highly optimized for the smaller screen viewing of a hand-held device. Do not ignore the mobile optimization of the content, and the website theme, of your online business or else you will suffer the loss of a huge number of visitors and a possible contempt of search engines as well. No wonder that social media is still an important public outreach platform, both for individuals and businesses from all levels of society. Social media marketing is important for a successful content marketing strategy, but do give a thought about the type and the way you share your content on social media. A correctly social media optimized and oriented content can give you lots of likes, comments, and shares; even virality over social media for your content but publish an incorrect content and the loss of your reputation will also be the same. Therefore, keeping in mind that social media content sharing is an important content marketing trend in 2018, craft your content wisely and share it with the right audience on social media. No one can ever deny the importance of a well-documented and logically outlined content in any strategy, let alone a marketing plan. This is why businesses globally are now adopting to document their content marketing strategy carefully and logically in a step-by-step fashion. This has enormous benefits for marketers and marketing managers for a business since it will keep them concentrated and focused on their progress. Harvard Business Review Magazine states that the realistic measures and logical documentation are important to the success of any business. So, pay heed to document and logically crafting your content for all of your marketing tactics. The final rising content marketing trend of 2018 which we will talk about is the expending the scope of hiring for a successful marketing efforts outcome. Those days are now numbered when one content writer alone can secure all of the leads and recognition for the business by writing the content. Today, you must consider hiring an entire skillful workforce to accomplish every aspect of your overall marketing strategy. For example, an SEO specialist must need to be a part of your marketing team who can optimize, both the website and content, which is written by your writer, to make them fully in compliance with the standards of ranking given by Google and or other search engines. Therefore, hire a diverse workforce to succinctly achieve greater results in the overall aspects of your online and content marketing. Looking for a Reliable Content Marketing Agency to Make Your Business Known? Contact Content Amplified! Content Amplified is one of those content marketing agencies which stays ahead of the curve by a constant process of learning and adapting to the newest trends unleashed in the content marketing sector. 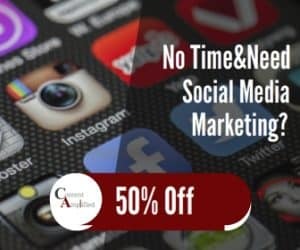 Content marketing solutions by Content Amplified will give your business a complete online marketing package: Web Designer, Web Developer, SEO Specialist, App Developer, Social Media Marketer, Content Writer, Directory Promoter, and Marketing Strategist, all of this skill included in a one single team working hard for your business to get recognition. Are you stuck and going nowhere with your content marketing strategy? Have you already tried many marketers but didn’t obtained any convincing results? Well, go ahead and give one chance to Content Amplified, and the practical progress you will see is the live testimony of what we can do for you, not just in words but in action as well. Call now for an immediate consultation! How To Attract Clients Through Online Content? Content Amplified is a full service Digital Marketing agency with a focus on professional content marketing and social media marketing services. Our Offices are based in North Carolina and Texas.